Stephen Hawking received many awards. Given that Wikidata registers such things, it is no wonder given Mr Hawking's prominence that some 27 have been registered.for him. One of them was the "Princess of Asturias Awards". It is however a grouping of awards not a single one. 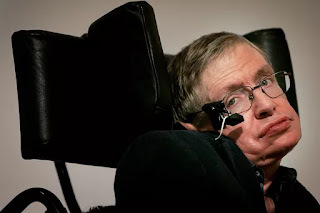 Mr Hawking received the "Princess of Asturias Award - concord" award. I did add this award to the item for Mr Hawking and I removed the grouping. Some people disagreed because, the old statement was sourced. It did not matter that it was wrong, the only thing that mattered that it was sourced. Funnily enough it was pointed out to me that the source was right; it said that Mr Hawking received the concord award. It was just Wikidata that was wrong.. So I wonder what the value of a source statement is. It is apparently OK to indicate on Wikidata what it does NOT say on the source. It is so confusing.. I am sure that when Mr Hawking hears about this he will just smile.